It feels great to see a new born baby enter the life of their parents, filling it with tears of joy. As soon as its birth takes place, it immediately becomes a zone of attention by the friends and family members. This also makes it pretty obvious for them to think of awesome gifts and hampers for the little tot. 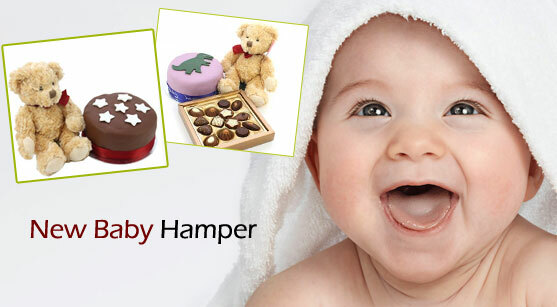 No doubt a wide range of baby hampers in UK can be selected for the child, which will offer recreational and fun-filled activities for the baby. Take a look at some of these options. A commendable collections of useful items for a baby all gathered in a beautiful basket can be one of the many gifts that one can think of. This basket might consist of baby bottle, baby oil, baby soap, baby powder etc. 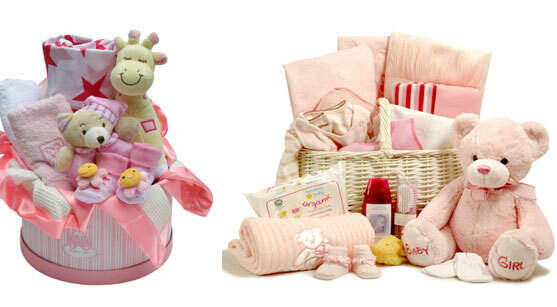 Even a diaper pack can be added to this basket for creating a wonderful and useful gift hamper for the little one. A diaper pack’s addition will help parents get the baby a cosy fit for emergencies. It is quite helpful in outdoor places. This is another great selection as a gift for babies. Babies are always curious to see new items present in this world. And, toys can offer them that curiosity in a safe environment. Moreover, the toys of today are quite educational as well. So, babies are able to learn on the go. Soft toys would be the first choice of many, but if properly searched for, people can find a wide range of safe toys for babies which will offer more joy to them. Some might love the sound of music for while others might care for something colourful, there are plenty of choices to choose from. Next idea comes in the form of wearable. Clothes for babies will offer something more than just education and entertainment. It offers protection. But, protection of the soft baby skin does not have to lack style, now does it? Which is why baby clothes of today are offered in a variety of colours of fashion. Socks, mittens booties, bibs, baby hats etc. might be some of the many clothes offered for these cute and cuddly babies. This could certainly be a great present for baby shower etc. Besides these individual gifts, there can be some hampers that offer a variety of all these above-mentioned gifts. Baby quits, clothes, diapers, toys, etc. 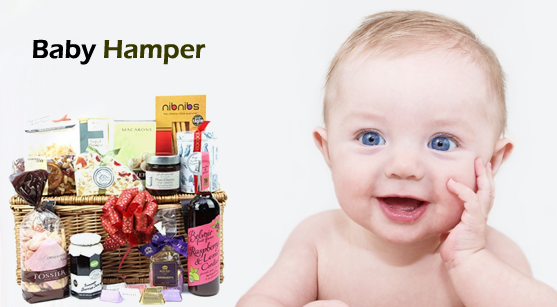 can all be selected and combined to develop a nice gift basket so that the little one can have it all. What babies offer people is more joy than the total summed up in an individual’s life. Being a parent makes one revive to such an extent that he/she forgets all sadness and troubles of life. Even the friends and family members feel happy about it. And, its first time in the world can be made special when people gather to make the occasion as such. The tradition of presenting gift hampers for varied occasions originated in Europe. Gradually, the idea spread to the U.S., Canada, South Africa and Australia. In modern times, it has become a global phenomenon, especially with the advent of the Internet. 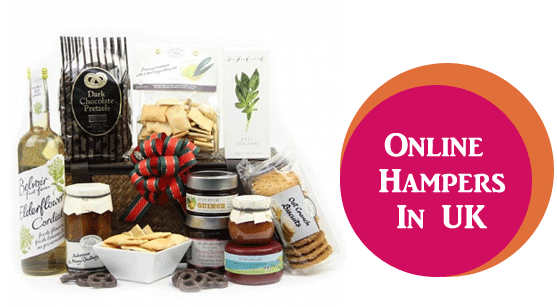 As a result, you may place orders for online hampers in UK and other places across the world. Although the term ‘hamper’ was not in use in Ancient Times, the idea of carrying gifts in a basket was definitely in place. To illustrate, Eostre, the pagan Goddess of the Saxon people residing in Northern Europe, would carry plants in a basket to be used as sacred offerings for the Gods. Her name is derived from the Latin ‘Eastre’, that is, spring, Since then, gift baskets became synonymous with Easter celebrations. The thought of using a wicker basket for bestowing gifts was probably derived from a story in the Old Testament. Jochebed, a Hebrew woman gave birth to a healthy baby boy in Egypt. Fearing a future rebellion by the increasing number of Jews in the country, the Egyptian Pharaoh ordered all Hebrew newborns to be killed. Jochebed lined a wicker basket with waterproof tar, placed her baby in it and left it amongst the reeds growing on the banks of the River Nile. The Pharaoh’s daughter found the baby and fortunately, employed his own mother to nurse and care for him until he grew up. Later on, she adopted the boy, giving him a new name, Moses. Moses became a Prophet, the receiver of the Ten Commandments from God. During the 11th century, the French found it convenient to transport wine and foodstuffs across land and sea, in well-packed baskets. Every basket was referred to as ‘hanapier’, that is, a case containing goblets. The first person to bring the hanapier to England was William the Conqueror. This was during the Victorian Era. Thenceforth, the British began to use large, woven wicker containers for transporting food. The well-ventilated, durable baskets kept food safe and unspoiled, even during long journeys. Furthermore, they were light in weight, unlike wooden boxes and barrels. With the launching of the railway system in the 19th century, it became easier to forward even perishable goodies in gift hampers across the nation. The innovative idea was mooted by a departmental store in London. In the beginning, gift hampers were sent around to loved ones only during Christmas time. Even business owners believed them to be appropriate presents for their employees. Recipients enjoyed the thought of finishing off the festive season with their favourite foods and drinks. Generally, there would be enough to last a week. Over time, people began to dwell upon the idea of sending other things as gifts, especially for other celebratory events. Thus, apparel, sweets, toys, health and beauty items, flowers, etc. found their way into these hampers. In modern times, external embellishments, such as ribbons, tinsels, etc. are also added, in order to make the hamper look more attractive. Christmas meant for joy, giving, laughter, spending time with your family, for the decorations all around you, but it’s not wrong to say that Christmas is for love. The best prayer to God is love and that is what we practice on Christmas. And the one who is most deserving of this love are the kids of your family and every kid around you. 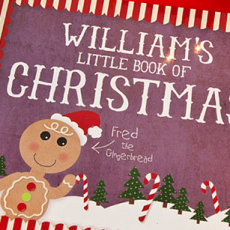 For kids, Christmas is one of the most special times of the year. As, for them it is a time for freedom, happiness and leaves from the school. Spending time with their father and mother, visiting the places they love, watching their favorite cartoon movies with their parents, they spend all their holidays in having fun and enjoyment. Interestingly, apart from all these things, whenever you ask a kid about the Christmas then just one thing springs to his mind, the CHRISTMAS GIFTS. This is because that everybody wants to have gifts and kids are the most demanding one in this regard. You just can’t avoid them; if you try they will not allow you. So, it’s a better option to select some gifts for the kids around you and be on the safe side. Well, it’s a fact that presenting gifts to the kids and watching their faces sparkling with happiness will make you happy as well. This is the perfect way to refresh the spirit of Christmas. You can also present gifts, like Christmas gift baskets for kids containing the items of their choice like the color pencils, markers and drawing stuff for some creative kids. 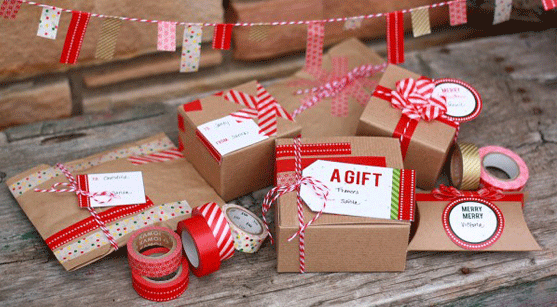 You can also present them with some DIY stuff containing the different shapes cutters, stamps and duct tapes. Gift baskets containing all these items are easily available and can be ordered in just two minutes via internet. 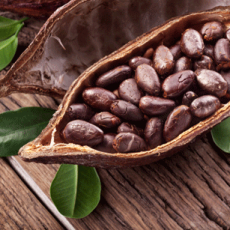 Chocolates are the most favorite sweet of every kid. A CHRISTMAS GIFT hamper containing chocolates of different shapes and flavors will surely delight every kid. 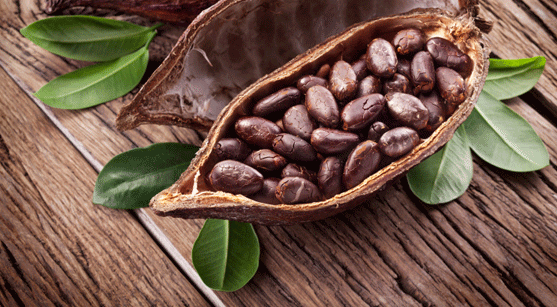 Chocolates could be considered as a gift universally accepted by kids. In fact, not only accepted, but accepted with great delight. Chocolate hampers like the bella cremini chocolate box and chocolate gift Ballotin can easily be ordered via the internet. For a talented kid having fond of study, story books are the best gifts on Christmas. 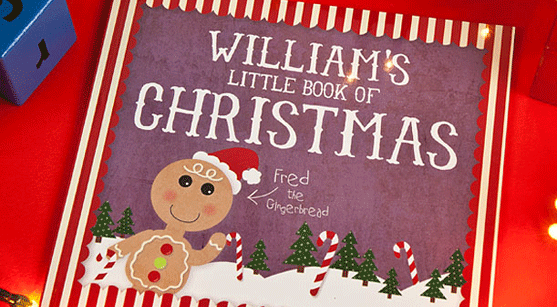 As, Christmas holidays provide sufficient time for them to study the story book. 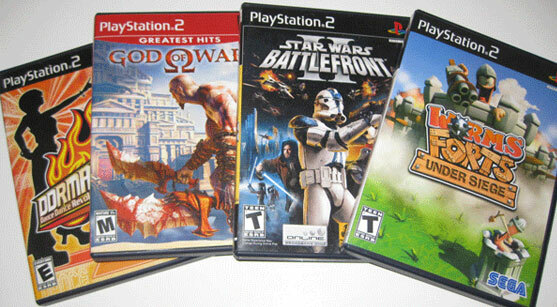 Story books containing pictures are the kid’s favorites stuff. You can give them story books related to kid’s favorite cartoon character like Winnie the pooh, Tom and Jerry or you can present them story books describing the old tales. For some kids Christmas gifts are related to the food items. Visiting to a nearby restaurant with their parents and ordering the dish of their choice, or staying at home and ordering a home delivery of the dish of their choice can make them happy. Some kids like mince pies, while other’s favorite is a bottle of port. Having smoked ham, stilton and Christmas pudding in the dinner is the best treat for some of the kids. Add the different things you like, or you think the kid you want to present the gift would like and make a Christmas gift hamper of your own. Fill it with all your favorite goodies and have it delivered to you the very next day. Christmas is the great time of the year and for most of the women and even men the fun part about Christmas is the shopping. This year, on the splendid event of the Christmas the shopaholics can say welcome to a new shopping trend. That is, shopping of food hampers online. Yes, you can enjoy the festive season with the least effort and trouble linked to the tiresome visits to the markets for the shopping of different Christmas accessories. 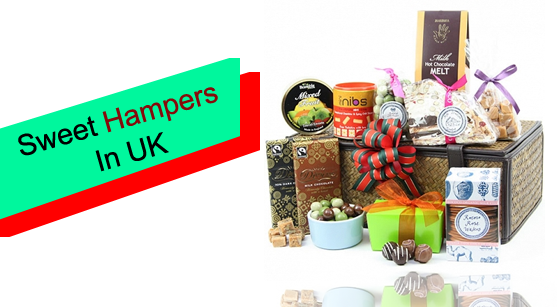 Secondly, if you want to check a variety of products before buying then there is no need to trouble your feet, just choose from the Christmas hampers UK collection on our website. You can search about the complete details of the products by clicking once on the product of your choice. You can also create your own lavish Christmas gift hamper by ordering the different products of your choice. 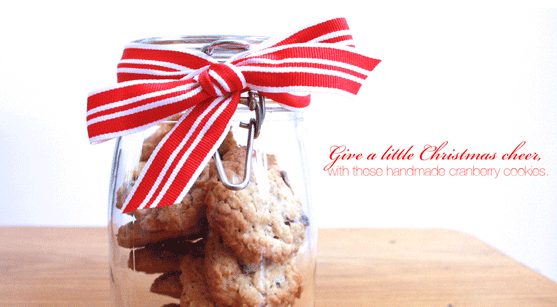 Just please your friends and family with overflowing holiday treats and cakes packed in an adorable manner. Choose from a variety of gift hampers, shop online, save your time and money and bring a huge smile on the faces of your beloved family and friends. Additionally, you can add a touch of personalization by attaching a personal message or card with it. Bonieri Dark Chocolate Gianduja 100gm, Artisan Biscuits Honey Almond 125gm, Honey Blossom Rich fruit Cake Loaf 620gm, Belvoir Blueberry and Blackcurrant Cordial 500ml. This gift hamper also provide you the option of personalization and cost $ 79.94. Packed with all the essentials for a perfect party this Christmas hamper a truly grand impression to your loved ones with Basket full of ingredients from all across America including Americans favorite Chocolate Coated Pretzels, Caramelized Corn with maple and fresh roasted cinnamon pecans and more all packed elegantly in a beautiful hamper box. 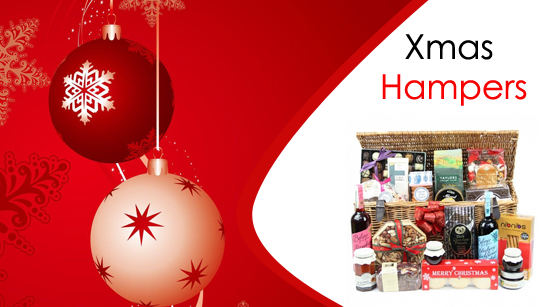 Which hampers make up the best Xmas Hampers? Christmas is surely the most beautiful time of the year, a time of great joy and pleasurable indulgence. Selfless giving and quality family time are the remarkable features of the event. But things like festive food, colorful decorations and last but not the least the XMAS HAMPERs are among those features of Christmas which make the event just unforgettable and no one can deny the fact that everybody waits for the Christmas because of its association with hampers. Choosing gifts for your loved ones is really an important part of the festive fun and anticipation. Also, spreading love is the best thing anyone can do and selfless giving is the best way to spread the love. Christmas hampers can be presented as a gift to somebody; you can bring them to your host or even, you can share them with your own guests. 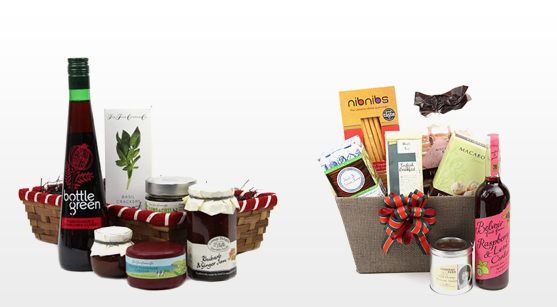 But the question is which one is the most suitable gift hamper to your loved ones. Surely it depends on whom you are presenting the hamper. Usually the Xmas hampers include the chocolate hampers, festive feasts, cocktail hampers, Christmas cake hampers or the cracker hampers. For some an ideal Christmas hamper is the one, that can delight them at Christmas and should include butter iced rich fruit cake, chocolates, tea, Wiltshire ham and cheeses altogether in one gift box, while for some others their luxurious gift hamper should contain the finest chocolates, exotic teas and truffle delicacies. While you consider that the gift hamper should contain the best of exquisite teas, biscuits, fine wines, jams and other such items. So, it really becomes difficult at times to please everybody. But it’s not that difficult now days. 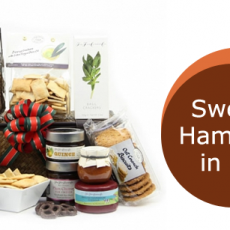 As there is a variety of gift hampers available in a range of prices. These hampers are available for occasions other than Christmas as well like the Easter, mother’s day, father’s day, etc. 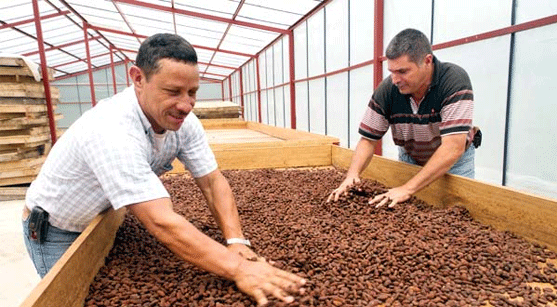 this association with different events make the selection of the gift even easier. 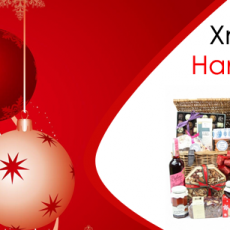 For example, if you want to buy some gift hampers for the Christmas then search for the Xmas Hampers or the Christmas hampers, thousands of websites will appear on your search engine offering many gift options. Interestingly, different gift hampers are available for different age groups and relations as well. Like Christmas hampers for kids, Christmas hampers for the parents and Christmas hampers for the love of your life. 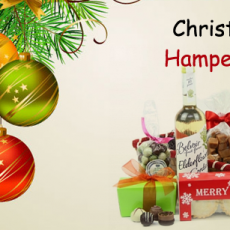 So finding the best XMAS HAMPER for your loved ones is no more a difficult task as it has become easy to find the finest food or the best drink or the best set of chocolates for your friends and family. 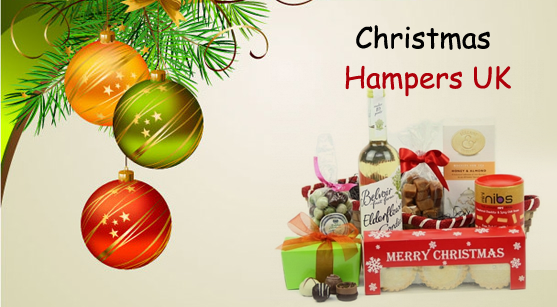 Now you can easily present XMAS HAMPERS containing food and drinks, savory treats, delicious chocolates and festive trimmings including the sweet and soft fruit cakes and mince pies. You can order the gift hampers to deliver to your home or you can directly deliver the gift to the lucky recipient if he or she lives nearby. An exciting hamper, wrapped in a worth looking manner will surely please the recipient and will result in you being appreciated. So, present one of the best Christmas hampers to your loved one and treat your family and friends with great care and love and celebrate with them a really special Christmas day. Whether it is Christmas and you have been invited to a party where you cannot show up empty handed, or a baby shower for your best friend, picking the right gift for a festive and celebratory occasion can be hard. Even when you know a person intimately, finding the one thing that they are lacking and which they cannot buy for themselves is an uphill task! Which is why gift hampers make so much sense? You are not buying that one elusive present, instead you make up a hamper of multiple things you know the recipient is bound to like. And when it comes to gifts, the more the merrier it always is! Sweet baskets with a bottle or two of the bubbly makes for a great birthday gift! You can fill the basket with chocolates, cakes, cookies and other sweet treats for the birthday boy or girl. And, if they are a close friend, you can even make a basket full of gag-gifts like age-defying beauty products. Just remember not to go overboard and hurt any sentiments. 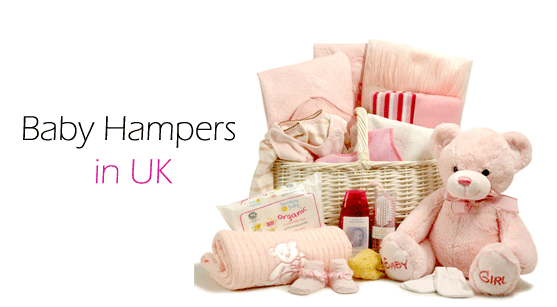 A baby hamper is a great gift for showers, or when visiting new parents. 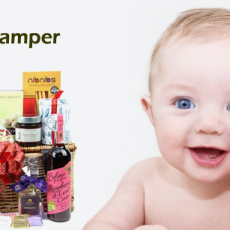 Fill up the basket with essentials that the new parents will need like baby food, diapers, baby oil and other products. A little teddy or some toys for the baby will also be appreciated. Do try to include something for the new mom too – some chocolates or spa candles; steer away from alcohol or anything she cannot use while nursing. An anniversary hamper is a riot of options! 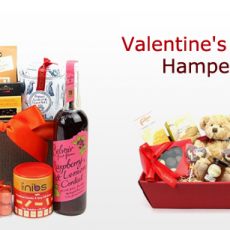 You can pack the hamper with a range of gifts from the traditional – wine and chocolates, candles, aromatherapy oils, bath items for two – to some really adventurous and fun things from your nearest adult store. The things you pack would depend on how well you know the couple. Again, there is a very thin line between risqué and offensive so be careful to tread that. 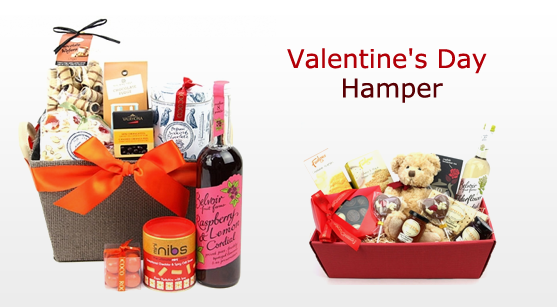 Well, you would most probably be gifting this hamper to your Valentine so feel free to choose and gift items that you know they will love. If you are planning a Valentine’s picnic with your loved one, then you can pack the hamper with eatables; preferably the ones you have cooked or baked at home. A heart-shaped cake would be a perfect fit in this basket. You can even include romantic vouchers and other things that would mean a lot for the both of you. Remember the most important you need while planning gifts is a keen understanding of what the recipient likes and some imagination. With these in hand, you will be good to go! Blue is traditionally for boys and pink spells a girl. Start decorating your hamper with this basic colour theme in mind. You can keep the hues completely traditional or you can choose to play with them a little and include some other colour in the mix. A little lilac with the blue perhaps and some gold and shimmer with the pink will work wonders for your hamper. The basket you pick for your hamper has to be big enough to hold the things you want to place in it. And it has to be stylish, as well. You can pick up cane or wicker baskets and do some DIY painting on them to make the basket look brighter and attractive. Wicker baskets can be used later as storage or as planters, and this just enhances their appeal. But you can also go for unconventional material like tin ware or a hand-woven jute or cloth bag to hold all the essentials. Make sure to personalise your bag/basket for a true gift-from-the-heart feel. 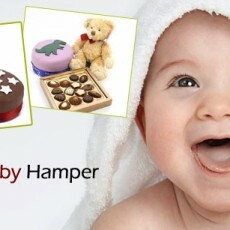 It’s true that you are creating the hamper for the new born babe. But it will do you no harm to fill up the basket with gifts for the new mom as well. Teddy bears are de rigueur gifts for an infant, so are essentials like baby soap, formula, feeding bottles, baby food, and massage oils, etc. Toys like mobiles for the crib and teething toys are also welcome. But, at the same time, you can also include bath oils and scented candles for the mummy. You can also include some home-made chocolates and sweets for the parents. Just ensure that whatever you buy food-wise adheres to any dietary restrictions the new mom may be following post child-birth, especially if she plans to breastfeed. The birth of a baby is an occasion for celebration. It is also a time for friends and family to gather and rally around the new mother and give her all the love and care she deserves. Along with the gift or goodies, do remember to offer your support to the new mom – that is indeed the best gift you can give anyone! Is your child in the wonder years- the magical years between infanthood and teenage? Is her or his birthday coming up? You may be breaking your head what gift to give him or her, something that he or she will truly like and cherish. 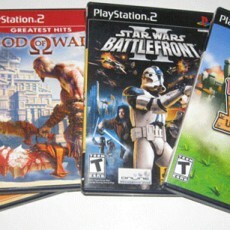 Tech goods: Gift an entertainment gadget like video games or a Play station console that will keep the young one hooked. Multi coloured rotating LED light: This will suit you if you are organizing a Disco DJ party for the young one. Go-Karting: Treat your young child and his or her buddies to a day out of real Go Karting that they will surely enjoy. Mall treasure hunt party: Organize a fun filled treasure hunt for the kids at a popular mall with loads of gifts for the winners. 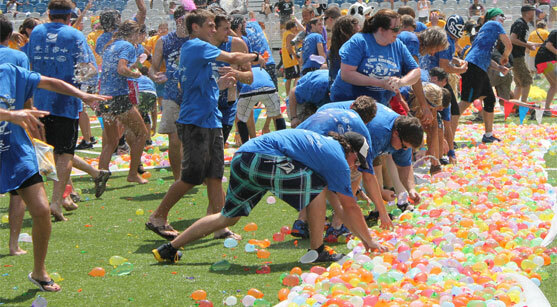 Water balloon fight: Make as many water balloons as possible and let the kids play by splashing with them. Donation: Make a donation in her name for a charitable cause she likes and encourage her sense of social conscience. 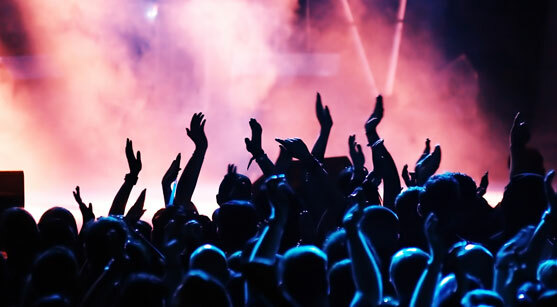 Treat her to a concert: Look up concert listings and treat her to a gig, ideally in a small venue. Present her a CD: If she can’t go to the concert, burn her CD of a favourite artist with a label made by you. Orchid gift: Buy her an orchid plant with a care book and also a membership to the local orchid club. Share day of pampering: Go together for a day at a spa, sauna or manicure/ pedicure. A themed gift basket: Just surprise your little kid by having his/her favourite themed hamper delivered right on the d-day and never ever forget to capture that big smile in your camera. 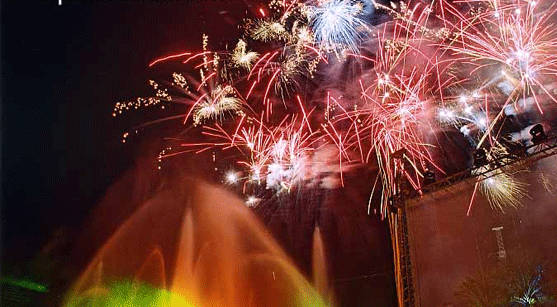 Experience gift: Take him or her to Cirque du soleil, horseback riding, sky diving, sporting event or amusement park. Share a class: Take a class together like sewing project or bonsai project or artwork. Magazine: Gift him or her subscription to favourite magazines like even Marvel comics. Museum: Take her or him for museum tour and help her cultivate an interest in art and culture. Book store: Take him or her to a book store and let the birthday girl or boy pick up some books of their choice. Movie merchandise: Gift her or him merchandise related to a favourite movie like Godzilla or High school musical. 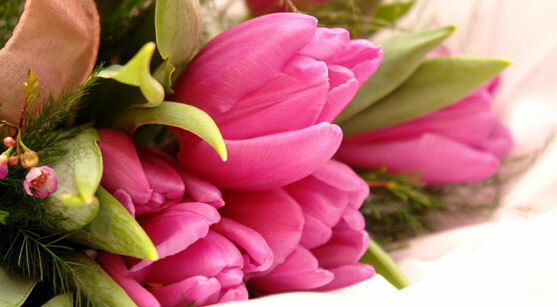 Flowers: Even young ones, especially, girls will be floored when presented with a lovely bouquet of flowers. Birthday treat: Take him or her for a special meal at their favourite restaurant. Gift cards: The best way to make your child happy is to give her a gift card which will allow him or her to buy a gift of their choice. These are some of the best gift ideas for your young child which she or he will surely love and cherish.